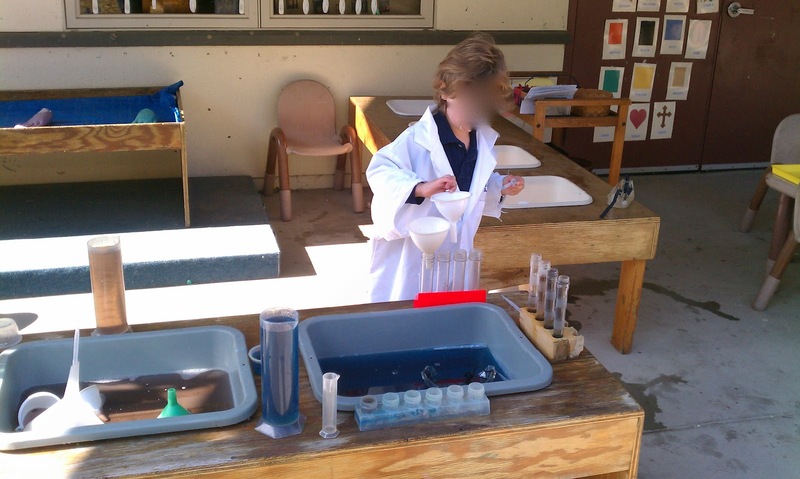 Exploring the Outdoor Classroom: Science Lab! As the weather heats up, we LOVE to add water play to the Outdoor Classroom. This week, we created a science lab in the dramatic play center. In one area we had crushed ice with spoons and applesauce cups. On the back table we added blocks of ice with small hammers and golf tees for pounding. In the front bins, we used three different colors of water. 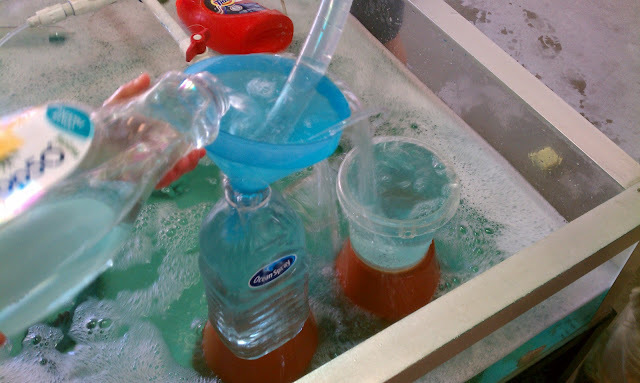 Just add goggles, lab coats, beakers, funnels, test tubes and basters for serious scientific discovery! 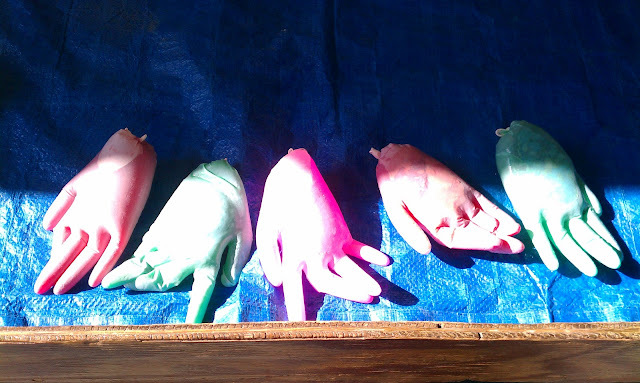 Colored water, frozen in latex gloves. I love the outdoor classroom. I think this is such a good time for the students to learn and get hands on jobs that will help them learn faster and more efficiently. Thanks for the great blog! Great ideas here, I did the frozen gloves in winter but it would be fun to do it now in the warmer weather. Looks so fun! I love the outdoor classroom idea. It would be a great time for the kids. I know my cousins son loves them. Thanks for sharing. Stumbled across your blog while looking for ideas on creating an enriching and rewarding outdoor environment! Great stuff, makes me miss being a classroom teacher!